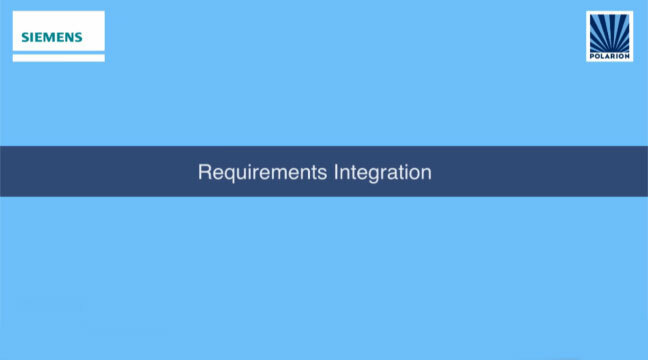 Requirements Integration with Polarion and Teamcenter illustrates how requirements spanning multiple systems can be seamlessly managed across ALM and PLM solutions. The video demonstrates an example of how product development organizations can ensure that software requirements are fully optimized for mechanical and electronic systems, and vice versa. Also, that full traceability is automatically maintained across all systems. Change Orchestration with Polarion and Teamcenter shows an example of the steps followed to orchestrate changes across software and hardware development cycles. This video demonstrates how an engineer can assess the potential impact a change in software can have on other product systems, and can integrate successful changes across ALM and PLM software tools.